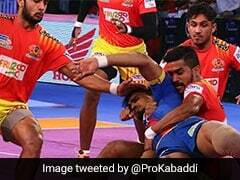 Gujarat Fortunegiants registered a 45-23 thrashing of U Mumba in a Pro Kabaddi League match on Wednesday. 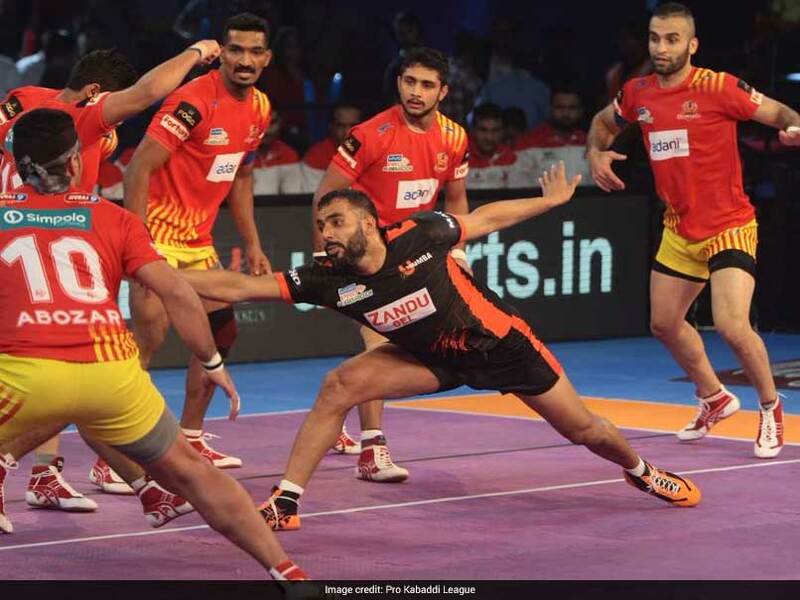 Gujarat Fortunegiants registered a 45-23 thrashing of U Mumba in a Pro Kabaddi League match on Wednesday. Ranjit Chandran scored 11 raid points while Fazel Atrachali contributed six tackle points to lead Gujarat to a comfortable victory. Gujarat Fortunegiants led 4-1 after four minutes as Sachin scored a raid point. U Mumba forced a super tackle in the sixth minute to level the match at 5-5. U Mumba forced another super tackle in the nine minute to lead 8-7. A super raid in the 11th minute gave Gujarat 10-9 lead. Gujarat inflicted an all-out in the 13th minute to lead 13-10. U Mumba struggled to match Gujarat's intensity throughout the match. Gujarat ran out comfortable winners as they wrapped up the match 45-23.